Nearly 400 Church of England parishes are to receive grants for urgent repairs to their church roofs in the first round of awards from the Listed Places of Worship Roof Repair Fund, Chancellor George Osborne announced today. ChurchCare, the buildings division of the Church of England, welcomed the grants for 372 parish churches and said that this would make an “immeasurable” difference to local communities. 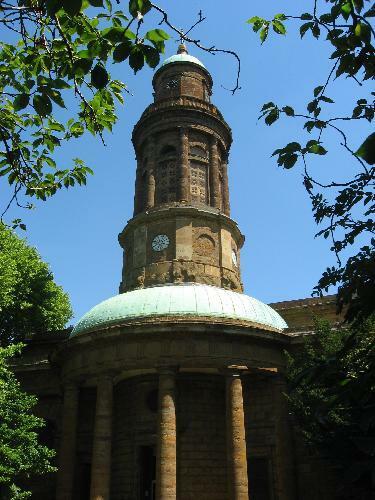 The total funding package for the first round of the scheme announced today by the Treasury is £30 million, which will go to a total of 502 listed places of worship, with Church of England parishes receiving just over £19 million. Extra funding announced in last week’s Budget will enable a second round of grants to be awarded next year to the value of an additional £25 million. Around 12,000 of the Church of England’s 16,000 parish churches are listed and 806 of these were included on the 2014 Heritage at Risk Register prepared by English Heritage. This highlighted the impact of leaks from roofs as the principal cause of decay in historic churches. All the churches benefiting today will receive grants between £10,000 and £100,000 towards the urgent repair of roofs, gutters and drains. The Fund, administered by the National Heritage Memorial Fund (NHMF) on behalf of the Department for Culture, Media and Sport, was heavily oversubscribed when applications closed on January 31. The decision to increase the scheme to total of £55 million, to be awarded over two rounds, was a response to this demand. The Rt Hon Canon Sir Tony Baldry MP, Chair of the Church Buildings Council, said: “I can think of no similar time when any Chancellor has made available such sums for church repair. “For many people the presence of a church in their community is symbolic of the nation and a source of support and comfort even for those who are not regular church-goers. The Chancellor, George Osborne, said: “Churches and Cathedrals are a unique part of our national heritage, and play a vital role in community life – we want to support them, and thanks to our long-term economic plan, we can. The second round, for the allocation of the remaining £25 million set aside for the scheme, is expected to open later in 2015. Both unsuccessful applicants under the initial scheme and new applicants will be able to apply, and ChurchCare will be providing support and guidance to those interested in applying. More information will be made available from the LPOW Roof Repair Fund and ChurchCare websites in due course.